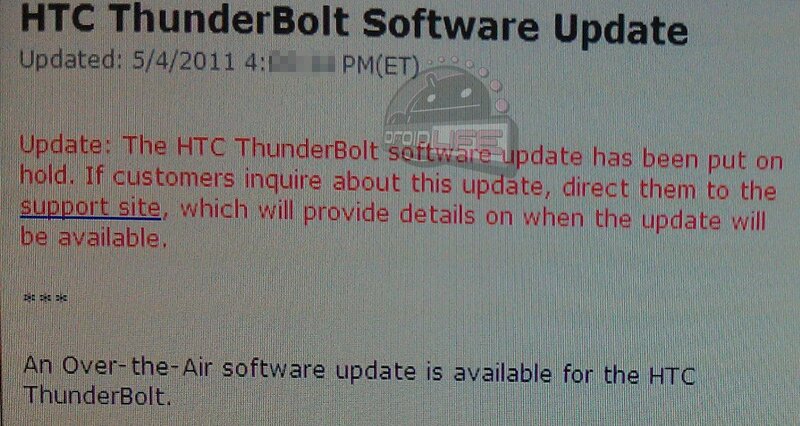 The update for the HTC Thunderbolt that we were all expecting to start rolling out yesterday has been placed on hold. 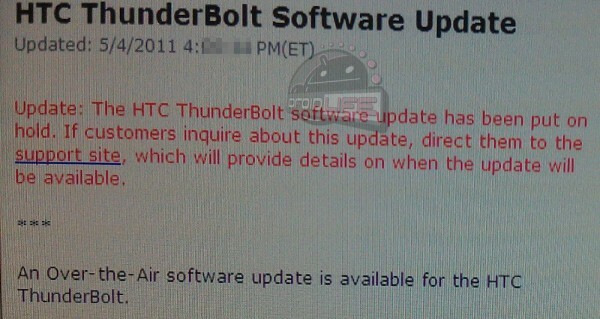 Verizon just dropped us this note and are directing everyone to the support site to stay up-to-date on this situation. There was no explanation given as to why it has been delayed, but with all of the 4G LTE issues that have popped up lately, we have a pretty good idea.